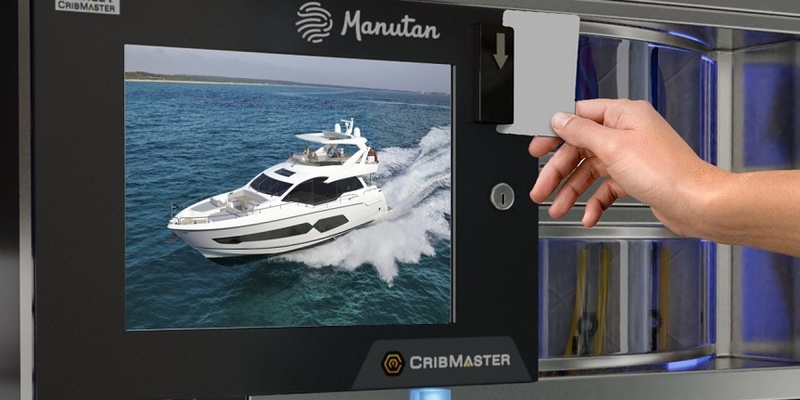 After signing a new contract with Sunseeker especially aimed at streamlining the company’s work processes, we invited the luxury motor yacht manufacturer to trial vending machines. Available 24/7/365, these machines are installed as close as possible to users’ workstations in a bid to drive down costs, increase productivity and improve safety in the workplace. For over 10 years we have been managing the inventory of Sunseekers’ Class C products, as well as other parts used during the boat construction process. In order to fulfil this we reserved part of our warehouse, put together a specific team and mobilised a fleet of trucks to replenish the manufacturer’s stocks. Thousands of items are delivered to the production site every day. “Two years ago, our partnership took on a whole new dimension. We have now given Key complete responsibility for replenishing our Class C products with the aim of reducing our total cost of ownership by at least 15%,” explains George Ricketts, Lean Project Leader at Sunseeker. Key & Sunseeker worked closely alongside one another to analyse and review all the processes for procuring and using the products distributed. During a series of Lean Management workshops, the teams examined such vital information as the distance that users travelled every day to reach the necessary products and the cost of production line downtime. By cross-referencing the data, the teams came up with several solutions. One of which was to install vending machines for specific high value/low volume products. 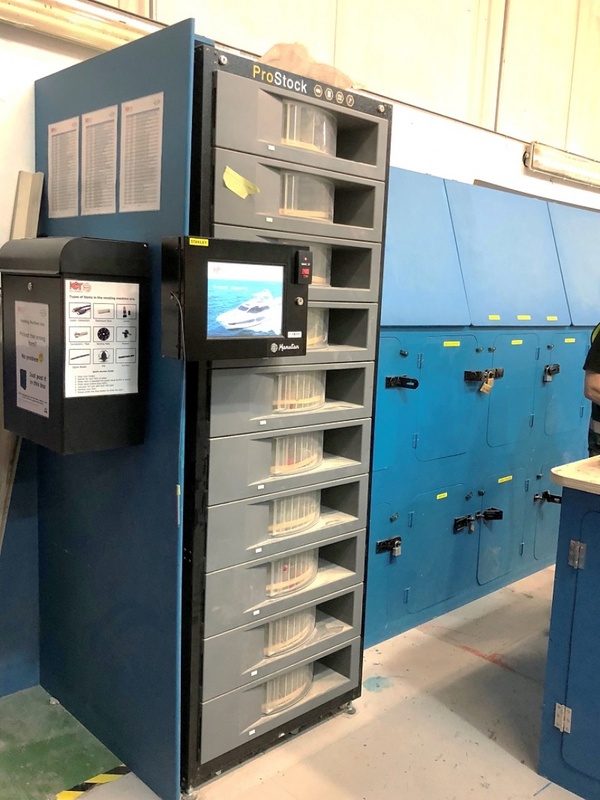 In February 2017, Sunseeker trialed a vending machine in one production area. Saw blades, milling cutters, connectors and backing pads were just some of the products available to users on the shop floor. “After only three months, we were happy with the machine, since the tool usage rate had dropped by 40%. That is why we decided to install two more vending machines. This solution has allowed us to offer controlled 24 hour access to 150 higher value items preventing production stoppages in a time critical production environment representing a major advantage for the teams” adds George Ricketts. Sunseeker and Key are already planning to roll out new machines during 2018 in other production areas with an extended range of products.